December 7, 1941, brought about a cataclysmic change to America. The Japanese attack on Pearl Harbor catapulted the country into a global war that everyone expected, but still caught most by complete surprise. And yet, within a matter of months, the country was transformed into the greatest arsenal of war the world had ever seen. 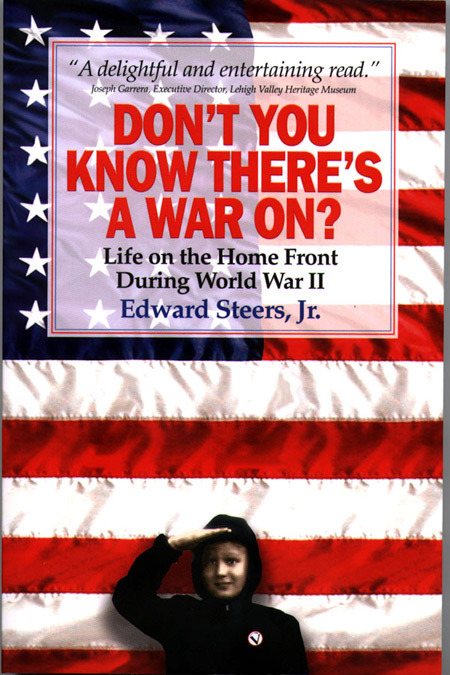 Over 16 million men and women served in uniform while nearly four times that number became citizen volunteers on the home front answering their country's call to service. Don't You Know There's A War On? is a trip down memory lane during those challenging years when an entire nation went to war. Every man, women, and child was called into service, and few, if any, refused the call. This book is not just about volunteers and sacrifice. It also tells the story of one of the nation's best kept secrets in the Navy's incredible "V" program, the story of Stubborn Hellion, Japanese "balloon bombs," and the bombing of Oregon by an ingenious Japanese plan. Don't You Know There's A War On? is a delightful read about those momentous days during World War II when America was forever changed by what many historians describe as the defining event of the 20th century.